Huawei is expected to launch the all-new Huawei Enjoy 9 series of smartphones in the coming days. Within the Enjoy 9 series, the company will launch at least two smartphones. Just a day before, we reported the specs of the Huawei Enjoy 9s, now the official renders, and specifications of the Huawei Enjoy 93 has been leaked. Compared to the Huawei Enjoy 9s, the Huawei Enjoy 9e is expected to cost slightly less than the 9s moniker. Here is everything you need to know about the Huawei Enjoy 9e. 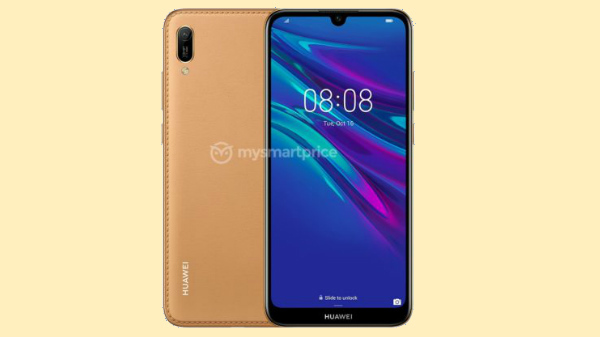 According to the report from MySmartPrice, the Huawei Enjoy 9e has a modern design with a water-drop notch display. On the back, the smartphone is most likely to feature a polycarbonate back panel with a single camera cutout. There is no visible fingerprint sensor on the smartphone, and the device is most likely to rely on Face Unlock using the selfie camera. According to the leak, the Huawei Enjoy 9e comes with a 6.08-inch IPS LCD screen with HD+ resolution, protected by 2.5D curved tempered glass. The MediaTek Helio P35 SoC powers the smartphone with IMG PowerVR GE8320 GPU. The device comes with 3 GB of RAM and 32 GB storage in the base variant, and the high-end model will offer up to 4 GB of RAM and 64 GB of internal storage. The phone is most likely to feature a dual SIM card slot with a microSD card slot (Hybrid solution). The Huawei Enjoy 9e will support 4G LTE and VoLTE on both the slots with Bluetooth 4.2 and dual channel Wi-Fi. The Huawei Enjoy 9e has a 13 MP primary camera with an f/1.8 aperture and an 8 MP selfie cam with an f/2.0 aperture. Both snappers are expected to support 1080p video recording, AI options, and portrait mode. The device is fueled by a sealed 3020 mAh Li-ion battery with support for 10W fast charging via micro USB port with a dedicated 3.5mm headphone jack. The Enjoy 9e will offer Android 9 Pie OS with custom EMUI skin on top. Considering the features and the specs sheet, the Huawei Enjoy 9e is expected to cost around 1000 Yuan or $130 or Rs 10,000 for the base variant.